Provide comfort for the family of Agnes Pruske with a meaningful gesture of sympathy. Rosary Vigil will be held on Saturday, 2/2/2019, 10:00am at St. Ann's Catholic Church in Kosciusko. 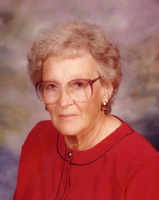 Provide comfort for the family of Agnes Pruske (Kotara) by sending flowers.